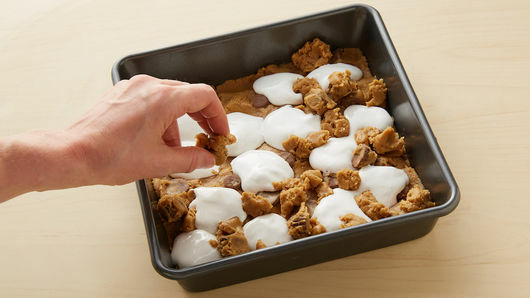 In medium bowl, mix cookie dough and peanut butter cups until well blended. 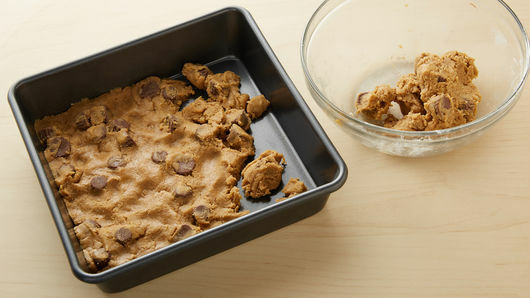 Reserve 1 cup cookie dough. Press remaining dough evenly in bottom of ungreased 8-inch square pan. Bake 15 minutes. Drop tablespoonfuls marshmallow cream on bar base. 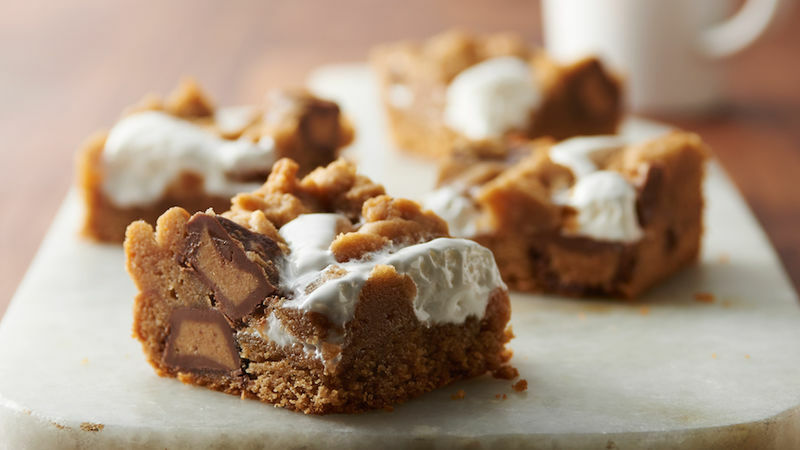 Crumble reserved cookie dough onto marshmallow and bar base. Bake 14 to 18 minutes or until golden brown. Cool completely, about 1 hour. For bars, cut into 4 rows by 4 rows. The secret for cutting bars easily is to line the pan with foil. When it is time to cut the bars, just lift the baked bars with the foil out of the pan, and cut. Store covered in refrigerator up to 3 days.